On Monday, November 21, 2016, the Fourth Circuit issued a published opinion in Pressl v. Appalachian Power Company, a civil case. 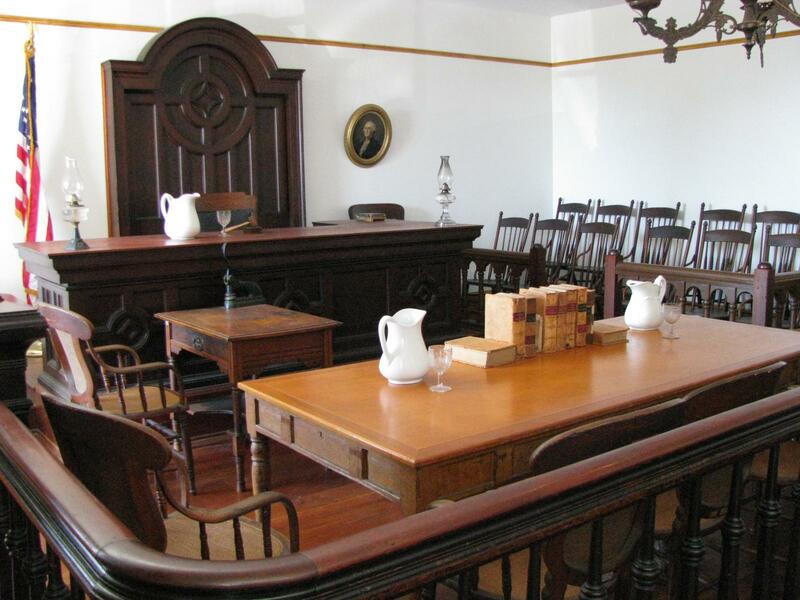 The appellants, Theresa and Richard Pressl appealed the district court’s dismissal of their suit for declaratory judgment that the appellee, Appalachian Power Company (“APCO”), violated a property easement on the Pressls’ property. After filing suit in Virginia state court, APCO removed to the District Court of the Western District of Virginia. The district court found that it had subject matter jurisdiction under both 28 U.S.C. § 1331 and 16 U.S.C. § 825p and dismissed the claim under Virginia easement law. The Fourth Circuit vacated the dismissal and remanded the case, holding that the case did not “arise under” federal law and, as such, there was also no basis for jurisdiction under 16 U.S.C. 825p. The Pressls owned property in Virginia that, for the most part, sat more than 800 feet above median sea level. However, some of their property sat below the 800-foot elevation contour that was subject to a flowage easement that the Pressls’ predecessors in interest granted in 1960 to APCO. The easement stated APCO’s intention to construct a dam that may affect the Pressls’ property below the 800-foot elevation contour. The easement granted APCO the right to remove buildings and structures on the Pressls’ property that sat below 800 feet median sea level. The Pressls wanted to a build a dock below the 800-foot elevation contour and APCO advised that the Pressls had to execute an agreement as a condition for building the dock. The Pressls filed suit in Virginia state court asking for a declaratory judgment that APCO’s demands were in violation of the flowage easement. The complaint asked the court to declare the Pressls’ right to build a dock in a way that did not violate the easement’s purported purpose of allowing APCO to build and operate a dam. APCO removed the case to federal court and claimed the District Court of Western Virginia had subject matter jurisdiction because the property was within a boundary that APCO operates under a license issued by the Federal Energy Regulatory Commission (“FERC”). The district court held that it did possess subject matter jurisdiction and granted APCO’s motion to dismiss pursuant to Virginia state law. The Pressls appealed, claiming the district court lacked subject matter jurisdiction and that the district court’s dismissal was in error. Jurisdiction exists under § 1331 only when a question of federal law is presented “on the face of the plaintiff’s properly pleaded complaint.” However, under the “coercive action doctrine,” even though a plaintiff’s action for declaratory judgment may not present a question of federal law, § 1331 jurisdiction exists if the complaint alleges a claim arising under federal law that the defendant could bring against the plaintiff’s claim. In addition, a federal question may exist when a right under state law turns on “some construction of federal law.” APCO alleged that § 1331 jurisdiction exists because its rights under state law depends on the construction of its federal license issued by FERC. The Fourth Circuit applied the test from Gunn v. Minton where the Supreme Court of the United States held that federal jurisdiction exited when “the federal issue must be ‘(1) necessarily raised, (2) actually disputed, (3) substantial, and (4) capable of resolution in federal court without disrupting the federal-state balance approved by Congress. '” All four requirements must be met. APCO argued that the issue is necessarily raised because the complaint claims that APCO does not have the authority to regulate the construction of the Pressls’ dock. To resolve this question, APCO contended that a court must examine APCO’s authority under the federal license granted to it by FERC. The Fourth Circuit found this argument lacked merit. The Court noted that the Pressls’ complaint did not challenge APCO’s duties pursuant to their federal license or APCO’s property rights granted to it pursuant to the flowage easement. The Court found that the complaint claimed that APCO simply had not acquired the property right to prevent the Pressls from constructing a dock because these rights must be acquired through condemnation or contract. Because neither federal law nor the FERC license granted APCO the property rights to operate the dam, the claim did not necessarily raise a federal question. APCO claimed, alternatively, that interpreting the scope of the easement raised a federal question. APCO asserted that two of the easement provisions, when analyzed under Virginia law, raised a reasonableness inquiry based on the original purpose of the easement. APCO argued that a court must interpret the FERC license to determine the reasonable limit of its rights to allow it to maintain the dam project. The Fourth Circuit also struck down this argument as well, holding that a claim under federal law is only necessarily raised when “every legal theory supporting the claim requires the resolution of a federal issue.” As such, because APCO’s argument for interpreting the easement under Virginia law did not involve an interpretation of federal law, the claim did not “arise under” federal law. The Court noted that Virginia law, and the district court’s holding, both look to the language of the easement when interpreting an easement. Therefore, the Court held that this case did not necessarily raise a federal issue because the easement did not require an analysis into the meaning of the FERC license to determine the limits of the easement. The Fourth Circuit held that there was not a federal issue that was “actually disputed” because the claim did not dispute the validity of the FERC license nor did it dispute APCO’s obligations to FERC. In sum, the Court found this case was a dispute regarding state property law. Additionally, the Fourth Circuit held that any federal interest in interpreting the easement was not substantial because state courts are better positioned to enforce property rights conveyed by state law. 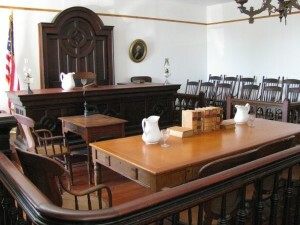 Lastly, the Court held that allowing federal jurisdiction over cases like this would disrupt the federal-state balance because resolving property disputes in state court would not disrupt any federal interest. The Fourth Circuit noted any decision regarding APCO’s property rights granted to it pursuant to the easement would not affect any federal interest that may exist in overseeing the operation of dams. Ultimately, the Court held that there was no basis for federal jurisdiction over this case found under 28 U.S.C. § 1331. The Fourth Circuit also rejected this argument. In a recent Supreme Court decision, the Supreme Court noted that the “brought to enforce” language in § 825p should be interpreted in the same way as the “brought to enforce” language in § 27 of the securities Exchange Act of 1934. The Supreme Court held that the jurisdictional test for “brought to enforce” was the same as the test used for determining if a case “arises under” federal law under 28 U.S.C. § 1331. The Fourth Circuit held that there was no jurisdictional basis under 16 U.S.C. § 825p because the Court had already held the case did not “arise under” federal law. Thus, the Fourth Circuit vacated the district court’s judgment and remanded the case.